How do I find a Alabama Lawyer? - If you have an injury that was caused by an accident that occurred in Alabama or you are a resident of Alabama. - If a lawsuit has been filed against you in the state of Alabama. - Alabama law is an important part of your case or you are dealing with a government agency connected to the state of Alabama. An experienced lawyer who practices in the area of the law should be your priority when searching for an Alabama lawyer. When you find a prospective lawyer, make sure to discuss your case in as much detail as possible. Even things that do not seem important to you may affect your legal case. If you have been contacted by insurance companies, government agencies, the courts, or another party, you should bring this to the attention of your lawyer. Your Alabama lawyer can help you if they are fully informed of the facts and circumstances that brought you to his or her office. Alabama lawyers often advertise throughout the state and you have probably been exposed to many of these advertisements. Available to you are lawyer listings, referral services, and practice organizations that can give you names and locations of specialists. While these listings provide an excellent source of legal representation options, it is always a good idea to conduct some research on your own before choosing an Alabama lawyer. Look into years of experience, reputation, and any other information available to help you make your decision. Available on this website is a search function that can supply you with important listings and information on Alabama lawyers. Any information you can uncover may help you, so be sure to be diligent in your search. It is necessary that any local lawyer needs to be well educated and experienced in the local rules and procedures of their practice areas and the state in which they work. Every state creates their own legal systems, so it is important that if you are involved in legal proceedings in Alabama that you find a specialist in Alabama law. For anyone to represent you, they must be licensed and in good standing with the Alabama bar association, so ensure your chosen lawyer has the proper credentials. When you meet with Alabama lawyers, make sure you come prepared. Review all information you plan on telling your lawyer and double check specific dates and facts. Bring any legal documents or papers that you have available. Your type of case will determine what type of information you need to bring, so check with your lawyer's office if you are unsure of what you need to bring. Try to have questions prepared for your lawyer when you go to your meeting. Questions can not only provide you with important information but can also spark communication that gives your lawyer the important information that they need. All Alabama lawyers need to have graduated from an accredited law school, meet character and fitness requirements, and finally pass the Alabama bar exam. These are the basic requirements and must be met by any lawyer that represents you. While these are the basic requirements, you should also ensure that your lawyer has the necessary experience in the field of law in which you need help. Criminal lawyers should work particularly in the criminal justice system and civil lawyers should specialize in civil law. While advertisements may provide you with the names and locations of Alabama lawyers, do not rely solely on them. Only hire a lawyer after conducting some form of research and informing yourself. Alabama lawyers should have a strong knowledge of Alabama law. They should also have contacts in the region where they practice with a variety of other professionals, including court professionals, other lawyers, and advising experts. When you meet with your lawyer, you should consider it an interview to ensure that you want to hire this lawyer and that they have a personality that you can deal with on a consistent basis. Remember, your lawyer may be working on your case for months and years, so only choose a lawyer that you will want to work with for that long. The fee structures of Alabama lawyers can vary greatly depending on the type of lawyer and what area of the law they are practicing. Always make sure that you understand all of the work you will be billed for and how fees will be calculated. A contingency fee is payment made only if the lawyer wins your case. The usual rates can vary between 30% and 40% of the total award. While this may be a very large fee, this type of fee is important because the client does not have to pay up front costs and incurs no loss if the suit is unsuccessful. An hourly or flat fee requires that the client pay an upfront fee for specific services or the client agrees to pay fees based upon how many hours the lawyer works on their case. Often, these fees may become very large if the case goes on for an extended period of time. It is imperative that you understand the fees and have an estimate of the fees you may incur. - Understand the fees that the lawyer is planning on charging you. Do not be afraid to ask questions or to challenge fees you do not understand. - Ask about the lawyer's experience. Questions about past cases, successful awards, failed lawsuits, or anything about the lawyer's work experience can provide you with insight into the lawyer's work. - Stay in constant contact with the lawyer. Ask for updates when you need them and keep your lawyer up to date with any changes in your case or circumstances. Find out when your lawyer is available to speak with you, how to contact them, and an estimated time for your case to be resolved. When facing legal issues in Alabama, retaining the services of an experienced Alabama lawyer will be necessary in order to protect your rights or your property. 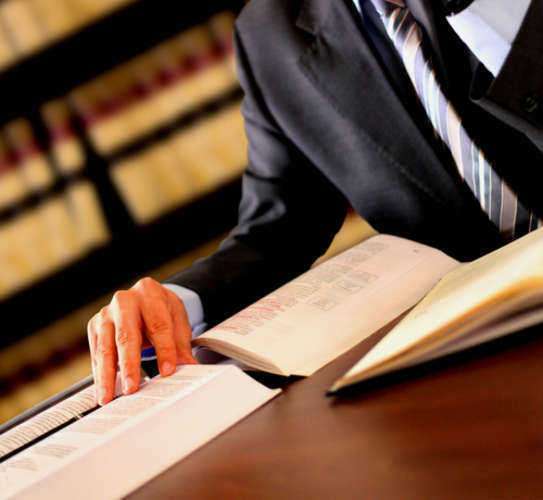 There are numerous lawyers in Alabama that can represent you, however you want to conduct some research into their background and history as a lawyer in Alabama. Look up their names on the internet, ask about them in your community, and contact the local bar associations to ensure that you are hiring a qualified and trustworthy lawyer. A lawyer in Alabama should always be upfront with you about their past, however it never hurts to try to find the information from unbiased sources. Alabama lawyers must be in good standing with the Alabama State Bar Association, so start by contacting them to find out if there is any information available that would lead you to ethical violations or consumer complaints against a certain lawyer. When you are entrusting your time, money, and legal rights, any failure to find public information about an untrustworthy lawyer is unnecessary. If no information is available, try to find previous clients of the lawyer, who can tell you how well the lawyer represented them and whether they were happy with hiring them.